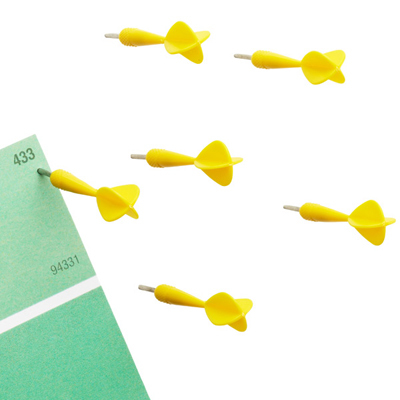 These Yellow WorkDarts Pushpins help you stay on target all day long. They’ll keep your attention when you use them to post important reminders, calendars, and photos in a kitchen, office, dorm or mudroom. $4.99. Buy here. 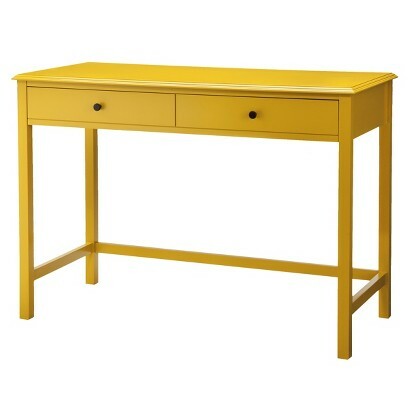 This Yellow Windham Desk features a painted finish with antiqued bronze hardware. It transforms any home office into a coordinated workspace. Streamlined proportions make this computer desk perfect for small spaces. One large, center drawer on ball-bearings slides smoothly and keeps mail, folders or pens neatly organized. $169.99. Buy here. 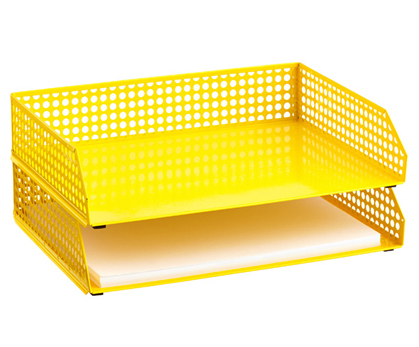 This Yellow Edison Stacking Letter Tray stacks up, no matter how much you have in your inbox. With its colorful stamped steel design, it makes a strong statement in more ways than one. Coordinates with other elements of the Edison Desktop Collection. $14.99. Buy here. 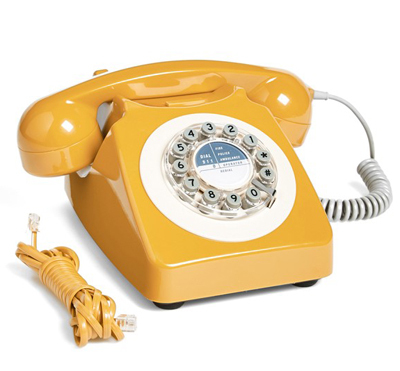 Classic ’60s design defines this kitschy-cool Yellow 746 Phone in color-pop yellow. Original style mechanical bell ringer. Plugs into standard phone jack. Push button dialing. $68. Free shipping. Buy here. 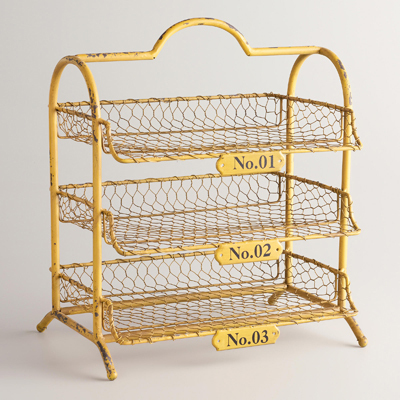 Reminiscent of a vintage find you’d snap up at a Parisian market, this chic Yellow Austin 3-Tier Wire Tray works perfectly to help streamline papers, files and office materials while adding a little glamour to your work environment. $49.99. Buy here.